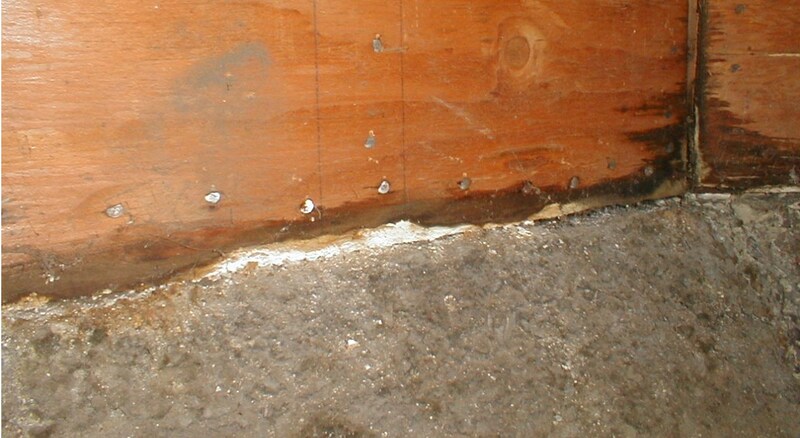 Retrofit shear walls in the Bay Area are often built in damp crawl spaces. This dampness is caused by moisture-retaining clay soil, which is found in most Bay Area cities. Poor drainage can also cause a crawl space to be wet. If this moisture contacts the plywood it can ruin the plywood capacity and thereby ruin the shear wall. For this reason one must do what one can to prevent moisture from touching the plywood. Some people think this is stopped with the use of marine grade plywood. Marine grade plywood is special plywood that is used for boats and has nothing to do with water resistance. Moisture on plywood is bad news no matter which plywood is used. The article Modeling the Effect of Nail Corrosion on the Lateral Strength of Joints (Zelinka, S.L. and D.R. Rammer. 2012. Forest Products Journal 62(3): 160 – 166) indicates that the corrosion rates of galvanized and non-galvanized nails are practically the same when exposed to high moisture (80 deg F/100% relative humidity) environments. In their experiments, it was found that galvanized nails have a corrosion rate of 5 microns per year, while the corrosion rate for non-galvanized nails in the same environment was only slightly more at 6 micron per year. In a another test it was shown that steel nails corroded less than 1 micron in untreated wood weathered on a test fence in Madison, WI for 20 year. To get some perspective, after 20 years, the strength loss at a 5 micron per year corrosion rate for a 10d nail, in 15/32″ thick plywood in a saturated condition, would be 90% percent of the original nail strength. The strength and stiffness of plywood in high moisture environments area are also impacted. In general, plywood in a high moisture environment will have a strength level reduction of 25% according to the APA’s publication Panel Design Specification. See Section 4.5.2: Service Moisture Conditions, and Table 7: Moisture Content Adjustment Factors For Wood Structural Panels. If you add that to a 90% capacity for the corroded nails, the shear wall will only have 35% of its normal capacity, and the potential for a shear wall failure is quite high. How to address nail corrosion: Eliminate nail corrosion by using stainless steel nails. How to address strength and stiffness reduction: Design the shear wall to exceed its normal dry weather capacity by increasing the capacity of the plywood by an additional 25%, either by increasing the size of the nails or reducing the spacing. This 25% gained through modified nailing plus the 10% gained with the stainless steel nails will bring the shear wall to its normal strength and stiffness. As further precautions when building shear walls in high moisture environments, it is important that only Exterior plywood be used. Exposure 1 is NOT plywood for exterior use. Exposure 1 means the plywood can withstand occasional wetting during construction. The only difference between Exposure 1 and Exterior plywood is that Exposure 1 is made with C and D veneers with the inner plies being D grade. These veneers have more knots, splits and voids that moisture, wind, and UV light can penetrate. Smooth A, B and C plugged veneers are found in Exterior plywood. The type of glue used in each of these panels is the same. Exterior grade panels have C grade inner plies, except for Marine Grade and Special Exterior panels which have A or B grade inner plies matching the face grade of the panel. Decay of the plywood is also a concern. Pressure-treated plywood should be used in moist crawl spaces. 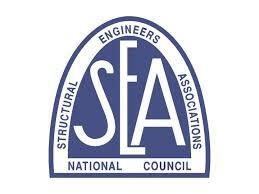 Be sure and follow the APA Data File: Preservative Treated Plywood technical guidelines. The reduction in capacity of the plywood for high moisture in pressure treated plywood does not change just because it is pressure treated, nor does it necessarily mean it is suitable for exterior use. Be sure to check. Under normal conditions the APA recommends that the gap between the plywood be 1/8″ to prevent buckling. In high moisture areas this gapping should be increased according to the APA’s Builder Tips: Prevent Buckling with Proper Spacing. The easiest way to address this is by using 16d common nails as spacers between plywood panels.